Taxes are said to be one of only two certainties in life, besides death, so if you're going to have to pay your dues then it's well worth getting a software program to help, especially with Brexit looming in 2019. Fortunately, there are now a number of top-quality packages out there ready to take the stress and confusion out of managing, calculating and filing your taxes – leaving you to get on with the more important job of maximising your profits (or enjoying spending your hard-earned cash rather than filing tax returns). These are the six programs we think impress the most in terms of UK-compatible tax management, but which one suits you best will vary depending on the size of your business, how much automation you want, and any other software you've got set up. Because this is such a broad area – you might want an app that takes care of your whole accounting process, in partnership with an accountant, or you might just want a program that simply organises and files the records you've already got – we've tried to pick a range of different options. Unlike some of the other products featured here which are solely focused on tax, Sage offers a fully-fledged small business accounting package. This cloud-based platform is capable of handling a gamut of finance-related tasks, including tax returns, naturally. Sage Business Cloud Accounting fully integrates with a number of Sage’s tax solutions, depending on your exact needs, but whichever route you choose, the idea is to provide a seamless all-round solution that means much less monotonous and repetitive data entry for you. You might want Sage Personal Tax, which allows you to prepare compliant SA100 tax returns and file them with HMRC online. Or you could require Sage Business Tax, which can be used to work out the taxable profits of sole traders and partnerships, or Sage Corporation Tax for preparing compliant CT600 tax returns. Whatever particular tax solution you need, all of them fully integrate with Business Cloud Accounting and can allow you to swiftly file accurate and compliant accounts and tax returns with HMRC and Companies House. And of course the cloud-based platform takes care of all your bookkeeping and accounting needs besides, including calculating and submitting digital VAT returns to HMRC – so there’s a lot of power here for small businesses, particularly on the retail side. Sage’s entry-level accounting plan starts at £10 (plus VAT) per month – with 40% off for the first three months at the time of writing – but you’ll need to contact the company for pricing on the various mentioned tax solutions. While Business Cloud Accounting doesn’t have a free tier, as we noted in our full review, it does offer a 30-day trial to give it a spin. Freeagent is a fully featured accounting suite that covers tax records as well, and is a powerful, comprehensive option that suits small to medium businesses or individuals with a lot of records to keep. You can either opt to manage everything yourself or grant your accountant access to Freeagent as well, with the software able to make life easier for both of you along the way. It's certainly one of the most modern tools here, with a slick and stylish interface on the web and mobile, and a pile of useful features: automatic bank feeds, project time tracking, support for invoices and payroll, and so on. For tax management specifically, Freeagent keeps records of everything as you go, so you know exactly what you owe and why at the end of the year. You can submit your returns directly to HMRC through Freeagent with just a few clicks of the mouse, with tax forecasting and real-time updates included too. Unlike Sage or Freeagent, GoSimpleTax isn't a complete accounting solution for freelancers and businesses – it focuses specifically on getting your taxes in order, and it does a very good job of this. Depending on your setup though, you'll have to do more work or get extra software to handle all the other components like invoicing and payroll. The software takes you step-by-step through the process of filing your taxes, making sure you're using the right terms and preparing the right forms, and looking out for any errors that might be creeping in (which could really cost you). You'll also get suggestions on where you could make some savings, which is always welcome. Everything slots in neatly with the online HMRC interface, so you don't have to waste time jumping from one app to another. 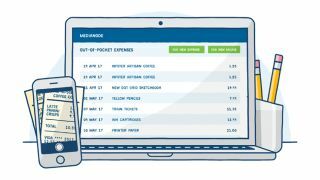 As well as the web interface, you've got mobile apps you can use to input figures and get a handle on how your tax burden is looking (the mobile apps can even scan in receipts). What we like most about the software though is that you don't really need any expertise to complete a self-assessment of your tax responsibilities. As much as possible, the interface is written in jargon-free language, with clear indicators for where you need to input figures and how they get processed. TaxCalc is on a mission to make filing your taxes as simple as possible, and we'd say it's doing a pretty impressive job of it: the software is packed with useful features for getting your documentation in order, and the system is officially recognised by HMRC, so all submissions should go smoothly. Whether you're an individual, a limited company or an accountancy firm, TaxCalc has a software solution tailored specifically for you, and it can even plug straight into bigger accounting packages such as Xero. In some cases you can get your documentation in order in as little as 30 minutes, TaxCalc claims. The intuitive, step-by-step web interface guides you through the process of filing your taxes from start to finish – from picking the right form, through entering all the details about how much you've earned, to submitting the form and making sure there are no errors. The tax you owe is calculated in the background as you go. This isn't the most comprehensive or the most well-designed tax software we've ever come across, but it is friendly, functional and accessible, and comes with all the tools you're going to need to hit that tax deadline. No one wants to spend an age getting their tax affairs in order, and few products take you through the process of filing returns as quickly and as simply as Nomisma does. It also gives you a variety of basic bookkeeping tools, so if you're looking for something that does more than just taxes, Nomisma might be it. On the business management side, the software lets you track invoices and orders, keep on top of bills and contracts, and produce a variety of reports on the state of your financial affairs (including VAT comparisons where needed). Not only can it save you time, it can save you money by letting you know where everything is at any given point. In the tax filing and self-assessment components, you'll find the software is fully HMRC compliant and registered with the government, so you can submit your documents without leaving Nomisma. A lot of the data you're going to need can be auto-populated from the bookkeeping module, but you can buy the tax module separately if needed. Throughout, Nomisma gives you a clean and modern-looking interface to work with on the web, and if you've got a mobile phone there's an app available for keeping tabs on expenses while on the go. It can also help your accountant calculate the figures at the end of the year, if you've got one. As we said at the outset, tax software packages come in all shapes and sizes, from very basic tools to get you over the line right at the end of the process, to fully fledged accounting suites that include everything you need to run a small business. If you just want some straightforward help as tax deadline day approaches, give ABC Self-Assessment a try. Whether you're submitting your self-assessment as an individual or a partnership, or you have some other complication to contend with – you're non-resident in the UK maybe – ABC Self-Assessment will point you towards the right form. While ABC Self-Assessment presents an interface that's not much different to the one you'll get if you log into the HMRC website and do your self-assessment there, it does streamline the process so you only see the questions and fields that are relevant to your circumstances. It's perfect if you don't want to spend much money but find the HMRC site a little overwhelming. What you don't get are any accountancy or bookkeeping features, so the onus is on you to have kept decent records up until this point. You might find that ABC Self-Assessment works well with your existing financial software (or just your existing Excel spreadsheet).